The BASIS PROMPT Professional Pest Controller register is an independent pest control industry initiative which has been set in order to provide pest prevention companies with fully independent proof that their Service Technicians and Field Biologists have received the correct industry training and that they continue to update and maintain their expertise and skills through ongoing training. 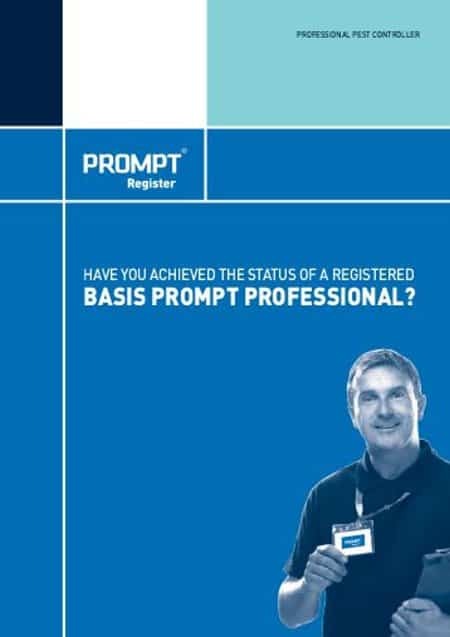 All of our team members at Pest Solutions are enrolled on the BASIS PROMPT Professional Pest Control Register and are required to achieve level of annual ongoing training and skill development to maintain their membership. Pest species are a danger to our public health and can readily contaminate our food, environment, spread disease cause distress and damage to our property. For these reasons it is essential that they are controlled and prevented. It is important that this important task is performed responsibly by individuals who are competent and properly trained. At Pest Solutions we are strong believers that the most effective pest control and prevention starts with education. 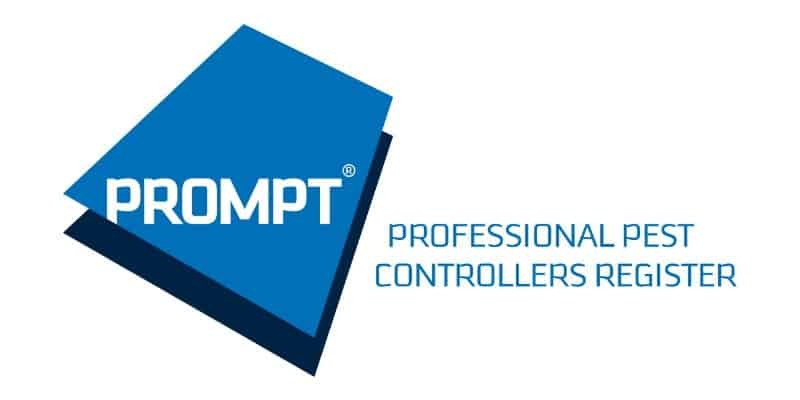 This professional register requires registered pest controllers to undertake regular recognised industry specific training to gain Continuing Professional Development (CPD) points. As the individuals registration is renewed yearly the members on the register will always be fully trained in the most up-to-date pest control techniques, products and legal obligations. This professional register is supported and recognised by the Chartered Institute of Environmental Helth (CIEH), the Royal Environmental Health Institute of Scotland (REHIS), the Royal Society for Public Health (RSPH), the British Pest Control Association (BPCA), the National Pest Technicians Association (NPTA), the UK Pest Controllers Organisation (UKPCO) and the Sector Skills Council. It is now a requirement of the British Pest Control Association (BPCA) company membership that all member companies maintain ongoing training for their staff and team members. This is required in order to maintain BPCA accreditation as a Pest Control company. At Pest Solutions we take great pride in investing in our team to ensure that all of our service personnel continue to grow in their skill set and all of our service team are on the BASIS Pest Control Register. 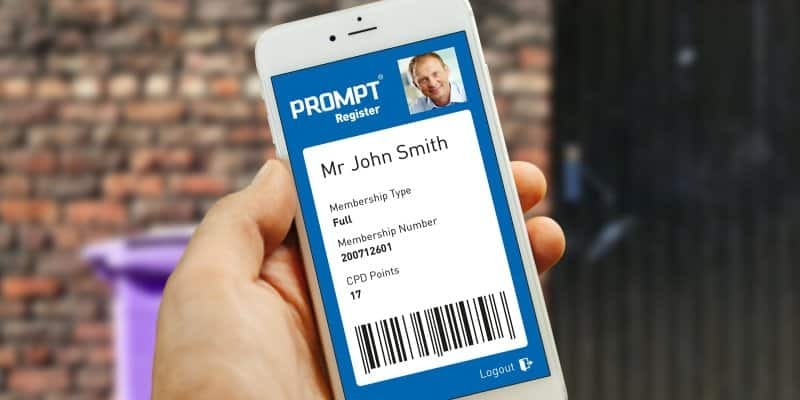 All BASIS PROMPT members should carry a membership card which demonstrates proof of their ongoing training and CPD points. Is your Pest Control supplier a registered professional Pest Controller. Get the most from your Pest Prevention and ask for proof of their ongoing training today. With ever changing health & safety regulations, pest control industry standards and legislation it is imperative that all service staff are correctly equipped to provide the best possible service to our clients. Choose a Pest Control company who value the latest industry training, choose a BASIS PROMPT Professional Pest Controller, Choose Pest Solutions.